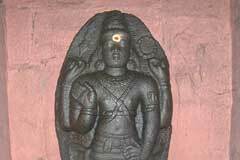 Lord of the temple is praised by Saints Tirugnana Sambandar and Tirunavukkarasar in their Thevaram hymns. Says Gnanasambandar, “No miseries would peep in to the life of those worshipping my Lord gracing from Semponpalli with Mother on His left and holding in His hand the Mazhu (axe) and His long hair glittering as golden thread. 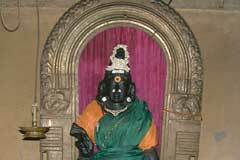 This is the 42nd Shiva temple on the southern bank of Cauvery praised in Thevaram hymns. The rays of Sun fall on the presiding deity for 12 days in Chithirai (April-May) in the morning hours when special pujas are performed in the temple. On the ninth day a car festival is celebrated called Soura Mahotsav. The rays of Sun fall on the presiding deity for 12 days in Chithirai (April-May) in the morning hours when special pujas are performed in the temple. On the ninth day a car festival is celebrated called Soura Mahotsav. 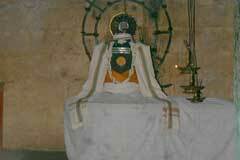 Shivalinga in the temple is on a 16 petal lotus designed Avudayar-the peeta. Lord is a swayambumurthy. Rays of Sun fall on the Lord in Chithirai month from 7 to 18. 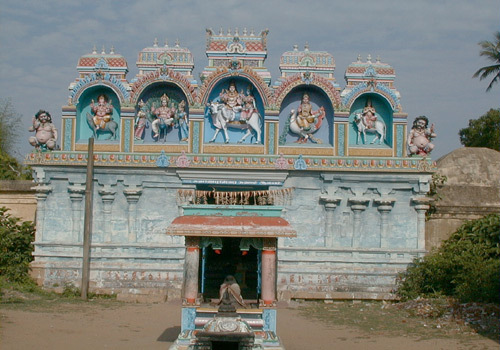 Sri Semponnarkoil Swarnapureeswarar Temple, Somponpalli – 609309, Nagapattinam district. It depends on the devotees’ limitations. Generally devotees offer vastras. Mother Sugantha Kundalambica is praised by many names -Pushpalaki, Dakshayani, Suganthalaki, Suganthavana Nayaki and Maruvar Kuzhali. It is advised that a dip on the new moon day in Chithirai and Vaikasi Tamil months – April-May and May-June, the devotee can wash off all his/her sins. 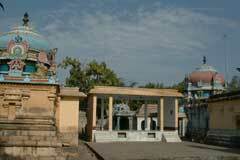 The place is on the Mayiladuthurai-Tharangambadi road at a distance of 8 km. Town bus facility is available from Mayiladuthurai conveniently.